The book “The Da Vinci Code” by Dan Brown is a true mystery thriller with whole chapters that can keep you on your toes. The book follows Sophie Neveu and Robert Langdon on their quest to find and reveal the truth of the Holy Grail before it falls into the wrong hands. This is book is truly a masterpiece in every sense of the way. The setting always paints a beautiful image. From rainy gloomy churches to brightly lit underground vaults it always feels like all of this could be happening in real life. Robert and Sophie are both grounded character’s that were thrown into a goose chase that’s bigger than the both of them and they know it. A story with the Holy Grail in the center of it was something I didn’t think of before, but it is truly interesting, and with something so important at stake there are a lot of people trying to get there hands on it for different reasons which creates a race to see who can figure it out first. 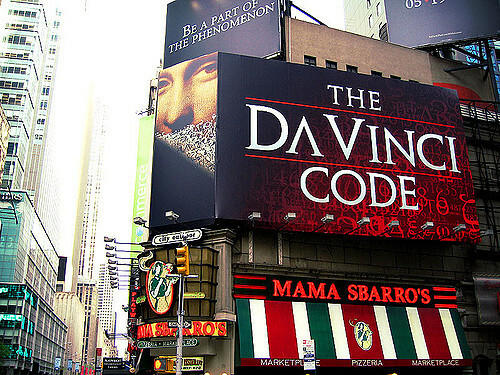 The Da Vinci Code is a very entertaining and exciting read that hits story beats with ease and has characters that are easy to like. It is one book that you should save pace for on your own self, or just your backpack.